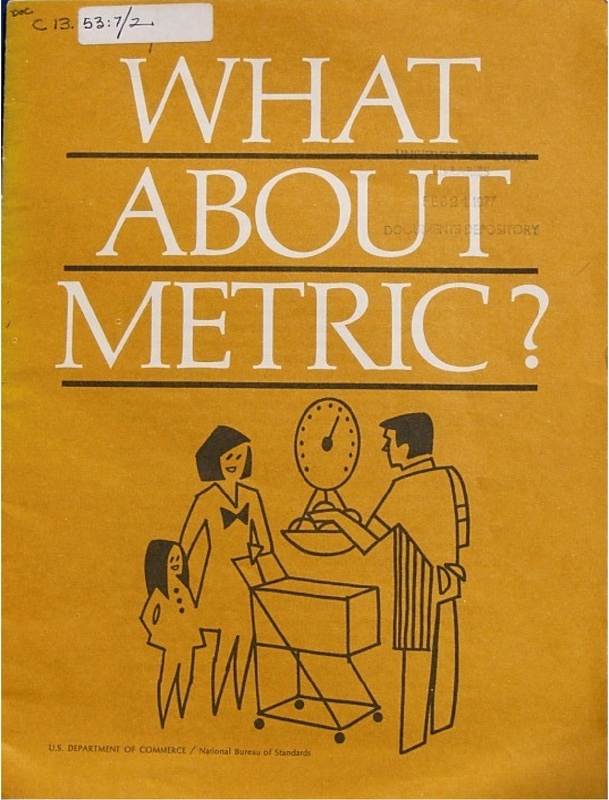 This entry was posted in Metric thoughts and tagged American history, economic superpowers, education, International trade, metric adoption, metric system, metric system thoughts, millennials, Pew Research Center, Public perception, social media, U.S. economy, U.S. labeling by milebehind. Bookmark the permalink. If this were the top 7 and a half reasons, I would have been interested. As it stands, what you’re saying is foreign to me. Sir, you seem to be too clever by half. The goals for doing so, here, are undisclosed, apart from seeking some sort of political acceptance abroad. Notice that worker productivity and standard[s]-of-living, being quantum measurements ahead of what metric countries can show, aren’t part of the criteria. LOL. America is falling behind and like a car crash the rest of the world is just standing and watching. Around 58,000 manufacturing plants have closed in the US since 2001, no doubt all manufacturing is done using equipment that uses Metric International (SI) and all work manuals would be done using SI as well. Within a couple of years China will be the number one economy in the world with the US as number two, and by the end of the century it is thought that America will be the number three economy. This is when Americans will eventually realise that they are being left behind. By 2020 every country in Asia will have China as its largest trading partner, and of course all these countries use SI. Asian tech companies, such as Samsung, ASUS, Sony etc. use SI but Americans tech companies are trying to use imperial measurements in other countries, this is probably why Samsung is now the number one and Apple is now the number two. I have no idea how big an inch is so there is no way I am going to buy Apple or Hewlett Packard tech products.